Owning your own minibus is great for large groups of people to use. Whether its ferrying a group of mates for a night out in the city or transporting your kids and their friends to a day out at a museum. Either way having a low insurance premium can really help towards keeping your minibus on the road. 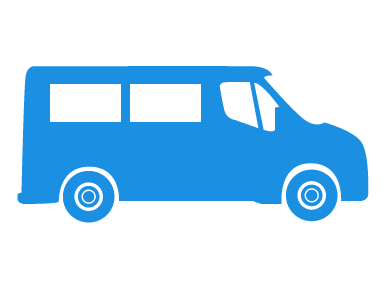 If you're looking for insurance on minibuses for personal use click here. Here at Adrian Flux, we go the extra mile to find the best policies for your minibus so you'll never get stuck with expensive premiums, high excesses or unhelpful service. We can provide you with private minibus insurance that will bring you flexibility and protection. A range of levels of cover is available to suit your specific needs and budget, as well as optional extras which you can choose from that give you extra protection. Private minibuses are great for social gatherings whether you and your family/friends are travelling to a nearby city, attending a show or a sporting occasion, picking up children for a birthday party, holidays in Europe, large families or for care homes. The possibilities are endless. Adrian Flux can also include short term cover for minibus policies. Personal Business Use - This is aimed at those who are using their minibus for social, domestic and pleasure purposes and for the business of the policyholder. Example of use: This is great for childminders and foster parents, non-employee transportation and restaurant and pub guests. Private Hire - For use, including the carriage of passengers and goods for Hire or Reward and use for social domestic and pleasure purposes. Example of use: Wedding hire and airport runs. Carriage of passengers for contract hire - Use for Hire and Reward purposes in connection with the carriage of passengers under contract arrangements. Example of use: Outdoor pursuit companies, tour guides and airport, school and hotel contracts. Carriage of passengers - Using only for social and pleasure purposes for the conveyance of non-fare paying passengers. Example of use: Care homes, nursing homes, residential homes, places of worship and religious orders, sports clubs both amatuer and professional, amateur mucisians and bands, schools, colleges, universities, scouts, guides, cadets, charities and social clubs. Carriage of passengers under section 19/22 of the Transport Act - Use for social, domestic and pleasure purposes and for the policyholders. Using to carry passengers for hire and reward under a permit issued in accordance with the requirements of section 19 or 22 of the Transport Act 1985. 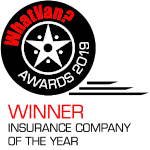 Adrian Flux is the go-to insurer for minibus insurance and can quickly compare policies which are suited to your needs and budget, providing you with a time and money saving service.